One example in the roofing industry is the unique relationship IKO Polymeric has developed with SIG Design & Technology, to exclusively distribute our IKO Armourplan PVC single ply membrane, and associated products. 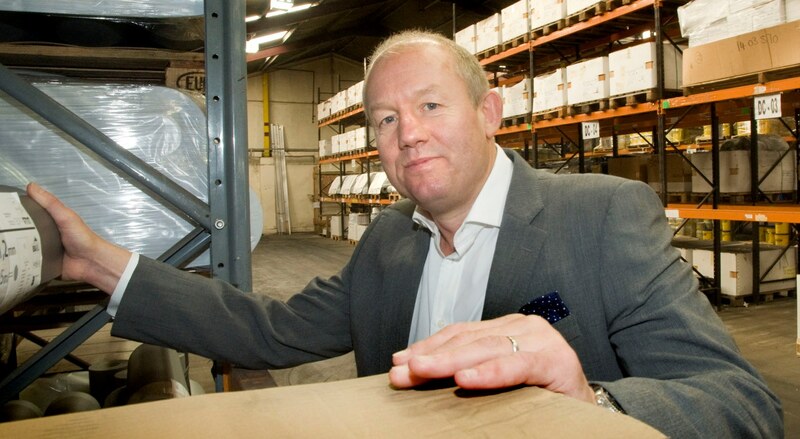 The idea of setting up a partnership like this was new in the single ply industry, and given that single ply was generally a well-managed, closely monitored sector with little or no third party distribution involved, there were many who doubted it would work. IKO Polymeric built a state of the art production plant in Chesterfield: as part of our expansion strategy we were looking for a company to help us enhance and expand distribution – essentially a partner to help us reach as much of the market as possible. At the same time SIG D & T was establishing itself in the single ply market and was looking for a reliable UK manufacturer who was open to a new way of working. We each had our own, targeted customer base, but wanted the same thing: a quality single ply product that was competitively priced, simple to install and able to be bought locally. Under the agreement, IKO Polymeric and SIG D & T each generated demand for single ply products which were to be supplied through the SIG network of branches throughout the UK. One initial obstacle was transferring all our customer agreements for IKO Armourplan PVC to SIG D & T. We factored out as many barriers to trade as we could, and SIG D & T set up a dedicated customer service team, backed up with full technical support. The change was carefully managed and heavily promoted in SIG branches with point of sale material: communication was key to the success of the transition. When the agreement started SIG D & T had already established an approved contractor base and offered installer training from its Shepshed-based headquarters. As both companies are members of SPRA it was important to uphold the association’s values, offering traceability of product by supplying only to trained and licensed installers, supported by comprehensive inspection regimes. SIG D & T was also investing heavily in sales and marketing to create demand and certainty of supply was vital to its success. Working together to identify and satisfy customer needs means both companies can develop business and offer something different and better. IKO Polymeric and SIG D & T are both based in the East Midlands, less than an hour apart, so we can quickly communicate face to face to iron out any problems. The exclusive arrangement is beneficial for both companies, and it’s helped us come up with innovative solutions for customers. One project which illustrates this point is the award-winning fast-track roofing project for online supermarket Ocado, based in Erith. In just under four months we were able to complete the 48,000m2 roof of one of the biggest online grocery centres in the world. 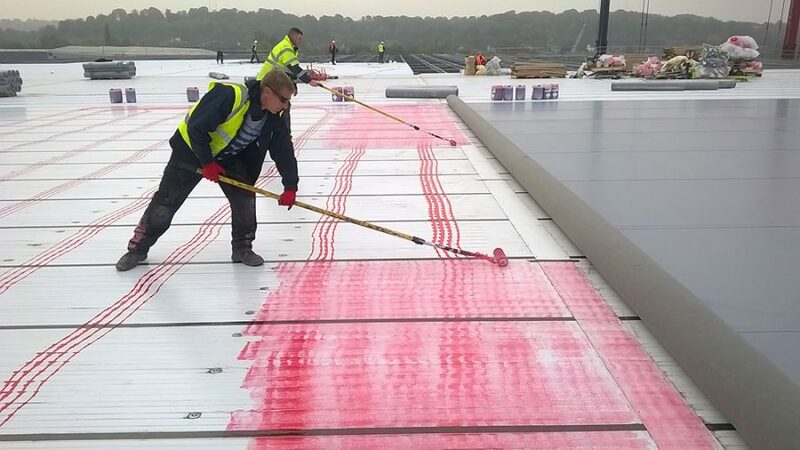 The incredibly tight roof build minimised material waste and time on site thanks to a number of innovations developed specifically for the project by manufacturer, distributor and contractor – IKO Polymeric, SIG D & T and FK Group respectively – working collaboratively. The first initiative was to manufacture bespoke roll lengths for the project. Standard length membrane (20 linear metres) needs cutting or extending to fit required dimensions so we made IKO Armourplan PVC Single Ply Membrane in bespoke rolls of 22.35, 19.20 and 8.00 linear metres to fit the installation’s specific requirements. Another innovation was to make half the rolls with the membrane overlap on the right of the roll, and half with the overlap on the left, which meant FK Group could use two teams working simultaneously on either side of the ridge, each rolling the membrane out correctly aligned – saving time and money. Our work on larger projects such as the Ocado warehouse has evolved to be as efficient as possible, but both IKO Polymeric and SIG D & T also specify and supply IKO Armourplan PVC on everything from smaller inner city schemes to remote rural projects. The London Business School, for example, needs regular, smaller deliveries on a “just in time” basis. Our partnership with SIG D & T ensures we can work out the best solution for each customer, on projects from 30m2 to 30,000m2, and the proof is in the pudding with IKO Armourplan PVC now widely recognised as a market-leading solution in the UK.